awaited third album Audeamus to follow 21/09/2012 . Buy Here on iTunes Keser Robo_Ghost ! 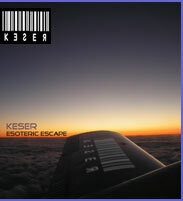 Check out the new album: Esoteric Escape out NOW! Keser are a Scottish band from Edinburgh and Glasgow, Scotland. The name Keser was chosen from a graffiti tag seen around Edinburgh. 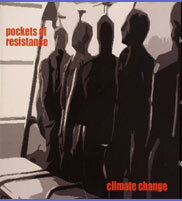 Keser consists of Gavin Clark and Kevan Whitley, and they debuted in 2005. According to Is this music? magazine, they "achieve in their tracks a new sound drenched in guitar-based electronica...they are able to explore the syntax of electronica with awe and excitement". Keser fuse an experimental, unique guitar style with synthesised beats resulting in a progressive form of guitar-based electronica. 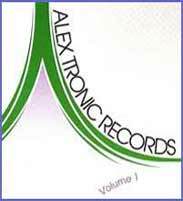 They are signed to UK indie label Alex Tronic Records, and have released three albums to date, Esoteric Escape, Robo Ghost, and Audeamus. 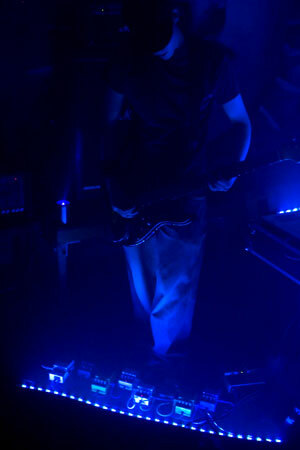 When performing live, Keser lean towards an instrumental, heavy, distorted and energetic approach but will also perform quieter ambient textures within their music. 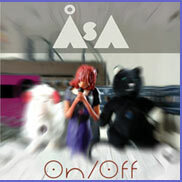 This musical dynamic draws comparisons to genres like shoegaze, art rock, metal and post rock. Their live set up involves electric guitar, bass, keyboards, drum machines, effects, samplers and a laptop.